Palmer’s unique blend of pure Cocoa Butter, Vitamin E and rich emollients combine to produce a superior every-day moisturiser designed specifically for baby’s delicate skin. This non-greasy formula absorbs easily, gently moisturises and leaves baby’s skin beautifully soft and wonderfully smooth. 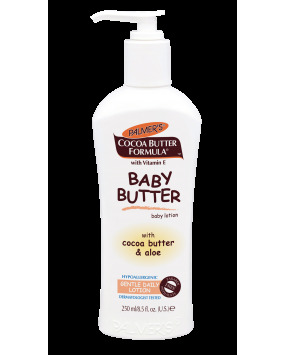 Cocoa Butter provides superior soothing properties and helps baby’s skin retain its natural moisture. Vitamin E is a natural antioxidant which also aids in moisturising the skin. Dermatologically tested, this pleasantly scented lotion comes in a convenient ‘pump’ dispenser. 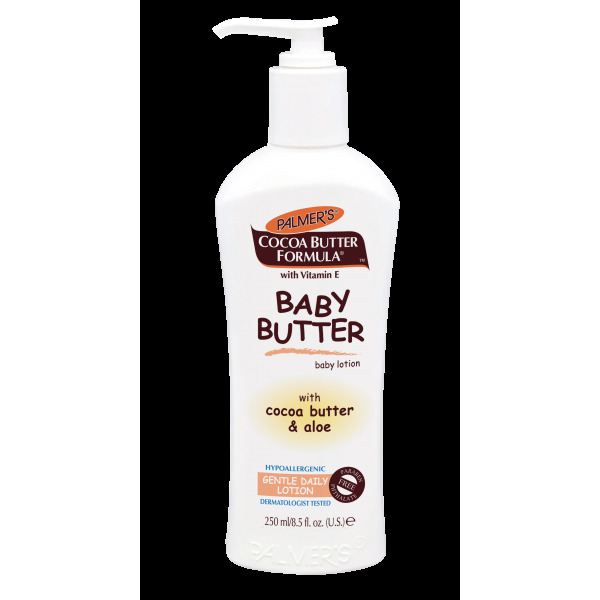 Apply Palmer's Cocoa Butter Formula Baby Butter to baby's skin daily, using your fingertips or your palm for larger areas, gently massage into baby's skin after bath and after nappy changes.